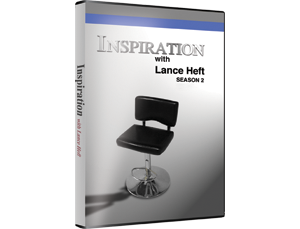 Inspiration With Lance Heft is a 30-minute on-location series featuring people who are making a difference in the world. This season, we have an amazing lineup of guests who share their incredible stories. From helping to find a cure for cancer, to preserving our natural resources, you'll be inspired by the drive, tenacity and passion of these incredible people. Watch some highlights from this season's episodes. Business leader and author, Lance Heft, is committed to helping people reach their full potential. 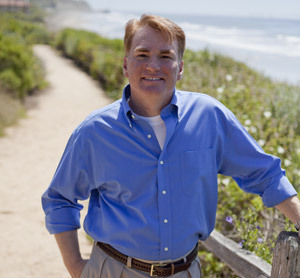 His inquisitive nature inspired him to develop a television series, where he could ask successful people about their own inspirations, how they overcame obstacles, and their secrets to living the life of they desire. Lance gets to the heart of the matter in every episode, finding out what makes people tick, and discovering the goals and dreams that unite us all. Season One Free Transcript Downloads are now available. Season Two Free Trancsript Downloads will be available by October 1. "Inspiration with Lance Heft is a beacon of what's right in a world so keenly focused on what's wrong. I was particularly moved by Lance's interview with singer/songwriter, Regie Hamm, whose daughter suffers from the same rare genetic disorder (Angelman Syndrome) as my own daughter. So nice to hear from someone else who is also on this challenging journey and so appreciative that Regie has answered his calling to give voice and hope to the Angelman Community. Kudos to Lance and everyone behind the scenes for bringing us this kind of inspiration. Good news is always welcome here!"